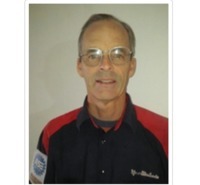 I have over 35 years of experience and am an ASE Level 1 master mechanic. I have extensive experience with Asian, European, and domestic cars and have Ford factory training. I'm an expert ain electrical and engine diagnostics and am skilled in finding performance faults and failures. I love figuring out why your car doesn't run like it should and making the necessary repairs to get it back in great condition! This is my third time working with Chet and he will continue to be my go to mechanic for all my car maintenance needs. Thank you again Chet. Second time Chet has fixed my car, (1st starter, now alternator). Will be using him again, should the need arise. Chet was awesome. Highly recommend! Great job Chet! Super convenient that they come to you and on time. Very professional, had the starter changed out & the job completed in about 30 - 45 minutes. Would definitely use again, as well as recommend. Chet is honest, professional and knows his stuff. I would highly recommend him. Another great job done by Chet. He has saved me hundreds of dollars, and does much better work on my Crossfire than any dealer I have taken it to. On time, knowledgeable, and able to diagnose with little information provided. I’m grateful for his assistance. Diagnosis was spot on! Well worth the price. Tell it like it is! Answered my questions with upfront answers instead of whatI wanted to hear. Highly recommended to anyone that wants a job done right and satisfied after the service. Very personable and experienced mechanic. Information was timely and informative. Clean, neat, and very professional job done. I will request Chet for work on my vehicles whenever possible. Arrived on time, finished quickly and offered some extra advice about my brake pads. Nice guy. Chet was very helpful in explaining what I needed to know about the car I was inspecting before buying. He told me all the things that would require fixing and the things the seller wasn't telling me before buying the car. He helped me see that I could lower the price because of the a few small things than needed fixing. I would definitely recommend him!! Great job, he's very patient and explains everything to me. I will always recommend him to my friends, bravo zulu. Chet is an amazing mechanic. Always a great experience. Chef came in a bit early (I like that!). He was very polite, and took the time to answer my questions. He was through and knowledgeable on his responses. He performed the job quickly. Everything was fine. I will definitely recommend him and will book him in the future. As usual, Chet was very thorough. We made plans for the service that needs to be done. Next week I'll make an appointment for Chet to complete the service. Chet was really great. He took the time explain everything to me. I would recommend him! Chet investigated the problem very carefully, explained all the issues to me in a very comprehensible manner, and described how the situation could be dealt with. He was thorough, friendly, and patient--a true gentleman, and a real expert.